Setting the record straight on fair use in the U.S. The Fair Use Doctrine in the United States — A Response to the Kernochan Report, by Gwen Hinze, Peter Jaszi & Matthew Sag, July 26, 2013. Our submission provides a brief overview of the U.S. experience of the fair use doctrine since its partial codification in the Copyright Act of 1976 and responds to some specific issues raised in an earlier submission to the Australian Law Reform Commission by the Kernochan Center for Law, Media and the Arts. Gwen, Peter and I were concerned that the Kernochan Report’s representation of American experience of fair use was incomplete and potentially misleading. We wrote this submission to provide the ALRC with a different perspective. Does the american experience of fair use show that it is unpredictable? Do recent cases demonstrate that fair use is uncertain in application? What is the role of fair use guidelines in the United States? What is the role of various “best practices” guidelines in the United States? What does fair use mean to the education sector in the United States? Would australian fair use rulings diverge from United States’ precedent over time? Would adopting a fair use doctrine lead to more litigation? Would fair use be useful without substantial litigation? 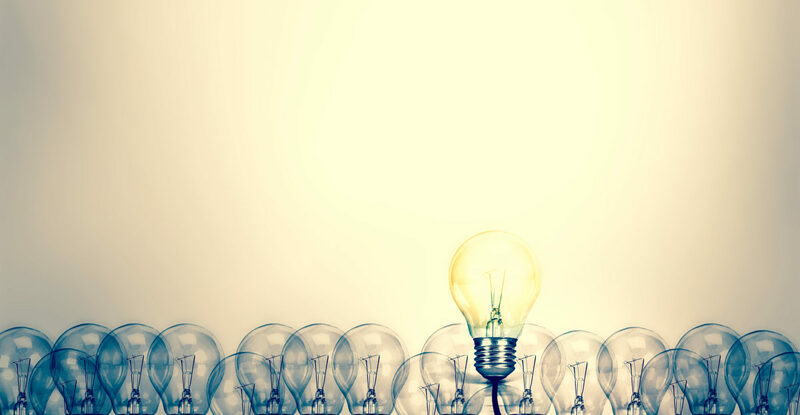 How does educational fair use relate to the anti-circumvention provisions under United States law? Is the fair use doctrine compatible with the international obligations of the United States? No one prints email anymore. Use shorter email signatures. No one prints email anymore! Or, if they do it isn’t because they need ten additional lines of clutter giving them the same information over and over again. I realized the other day that my email signature was taking up about ten lines of text. This is ugly and stupidly inefficient. I solved this problem by creating hyperlinks that tell people everything they need to know or point them where to find it out. There is no reason why the link to my ssrn working papers has to say “http://papers.ssrn.com/sol3/cf_dev/AbsByAuth.cfm?per_id=461043” it just needs to point there. 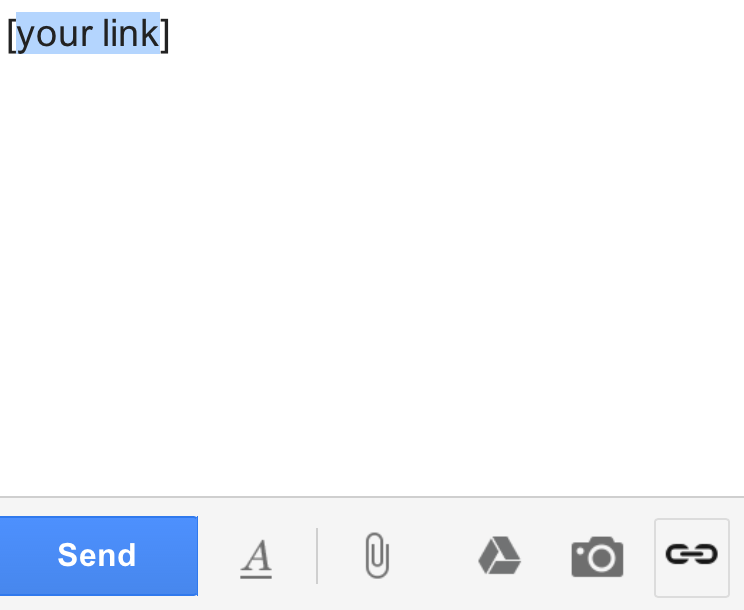 An easy way to do this is by creating the links in a draft email. Then cut and paste that into your email signature and format according to taste. 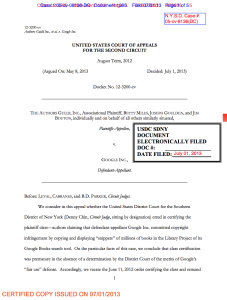 Putting aside the merits of Google’s claim that plaintiffs are not representative of the certified class—an argument which, in our view, may carry some force—we believe that the resolution of Google’s fair use defense in the first instance will necessarily inform and perhaps moot our analysis of many class certification issues, including those regarding the commonality of plaintiffs’ injuries, the typicality of their claims, and the predominance of common questions of law or fact, see Fed. R. Civ. P. 23(a)(2), (3), (b)(3). The court is not giving that much away, but my prediction is that the Second Circuit is taking Google’s class certification arguments and their fair use defense very seriously. Judges like to be efficient. If they can dispose of this case on the grounds that library digitization + search is fair use, there is no class. A few authors may have a case about snippets that were too long (not a good case, but a case) but the idea of a class in the millions evaporates if the basic non-expressive uses are held to be fair use. Another judge in the Southern District of New York has already made this ruling in the companion case of Authors Guild v, Hathitrust. The Second Circuit just handed down its decision in Authors Guild v. Google. The court, Judges Level, Cabranes and BD Parker, ruled that Denny Chin (sitting by designation as the United States District Court for the Southern District of New York) was “premature” in certifying the plaintiff class. Before certifying the class, the court below should have class certification made a determination on the merits of Google’s “fair use” defense. Accordingly, the June 11, 2012 order certifying the class was vacated and remand. My first reaction is that this is huge win for Google and for the broad coalition of groups who think that library digitization for particular purposes (text mining, search engines, access for the visually impaired) is fair use. My second reaction is that I think the Second Circuit is trying to tee things up so that they can decide the fair use issue in Authors Guild v. Google and Authors Guild v. Hathitrust all at once.